Beyond the obvious fascination and amusement from the demo itself ~ it all lent it self perfectly for some fun photographing and video too! Luckily dan came with ~ so we have full video of all the excitement for you to see on the next page, and i’ve summarized the whole scene in a gallery of pics as usual! 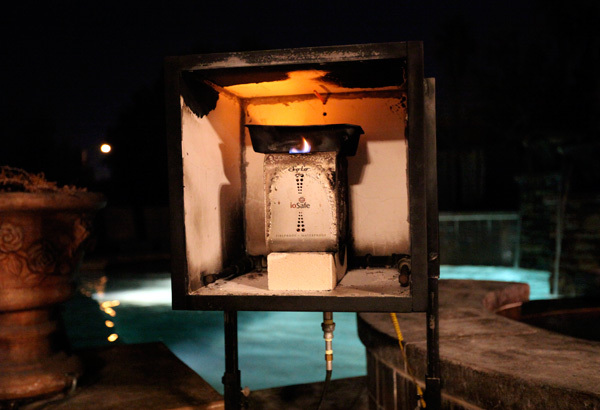 Fire in the dark is SO fun with the my new 5D ~ and as for the ioSafe Solo external hard drive, i think i’m sold. In this line of “work” i can’t imagine losing all my files… lifetime of photos… design work… the websites!… you name it! Granted its one of those problems you hope you never have to worry about, but if there *were* to be a flood or fire, i’d certainly feel better knowing my data would most likely survive it! While ioSafe is primarily known for their enterprise level products (massive, hefty “disaster proof hardware”) ~ this is their first introduction into the consumer space, and the pricing is impressive ~ the 500GB ioSafe Solo external hard drive is only $149, and the 1TB is $199 and 1.5TB is $299! I want it. Isn’t your worst nightmare as a designer/developer/computer-user losing ALL your data in an emergency? Well… on one hand, you can just leave this and let it flood or burn and grab it later… on the other hand, you can store it in the shower or oven and still use them and your data should still survive it? But really, with price points starting at $149 for the 500GB model (and sizes up to 1.5TB!) ~ its the kind of affordable your design studio can’t bear to do without! …the good stuff!!! 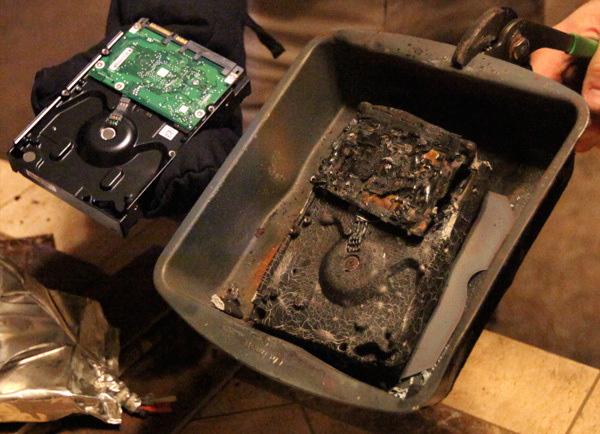 First he THROWS the hard drive into the pool (and pulls it back up on the string after a few minutes)… then into the box it goes, with a regular unprotected hard drive in a baking pan above it and sets it all on fire! 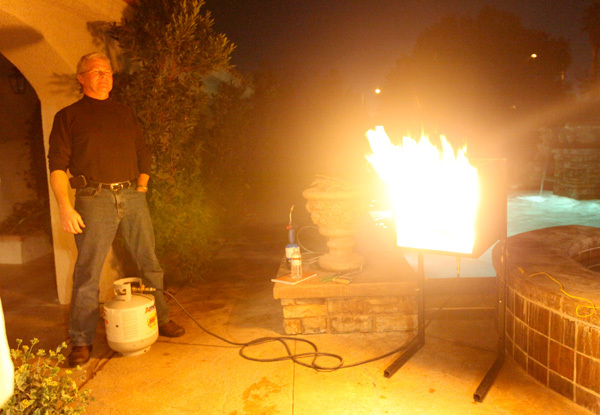 They keep pouring on the gas and checking temperatures till it gets hotter than most house fires ever will… i’d be kidding if i didn’t say it was far too mesmerizing and fun, wish we could do it again! After turning off the gas they pull it out, put it on the ground, and hose it off… there were clouds of steam coming up for a while ~ the pics look like blurry messes for that phase! …. especially when you see it compared to the bare drive!!! 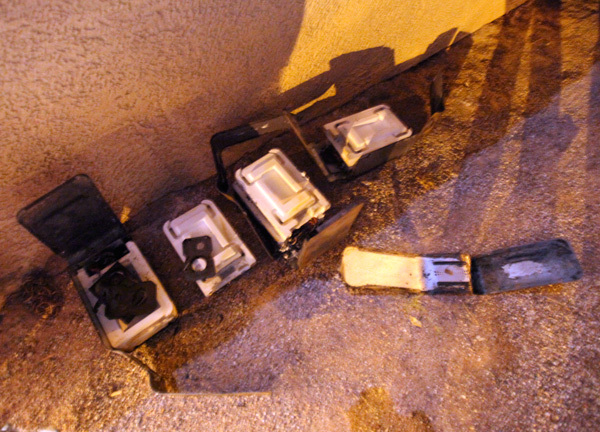 And honestly i doubt your usual external hard drives would do much better, probably far more toxic melting/burning plastic fumes! Check out those pool/hot tub colors! 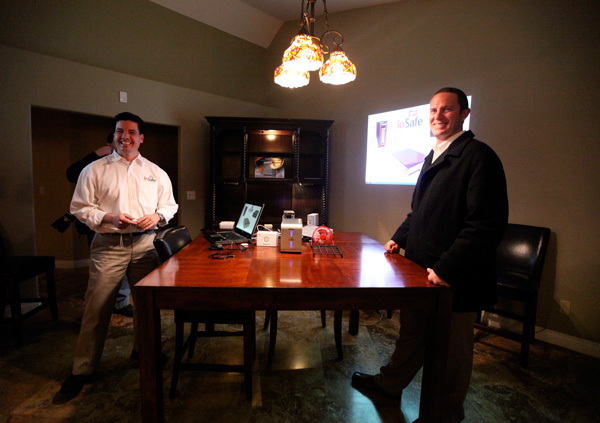 AUBURN, Calif., January 8, 2009 — ioSafe Inc., the technology leader in disaster-proof hardware, today has introduced the ioSafe Solo, the first affordable 1.5TB external hard drive with integrated ioSafe disaster protection technologies. ioSafe has extended its technology, previously used for enterprise NAS systems and internal drive technology, to the external hard drive market in the new ioSafe Solo product line. The ioSafe Solo packages a single 3.5 inch SATA hard disk drive up to 1.5TB capacity in a fireproof and flood-proof enclosure. The ioSafe Solo protects precious data from loss in fire temperatures up to 1,550 degrees Farenheit and flood protection down to a 10 foot depth for 3 days. The ioSafe Solo is available in capacities of 500GB, 1TB and 1.5TB and connects to PCs, Macs or Linux computers with a USB 2.0 interface. The MSRP for 500GB is listed at $149, and comes with ioSafe’s Disaster Recovery Service. 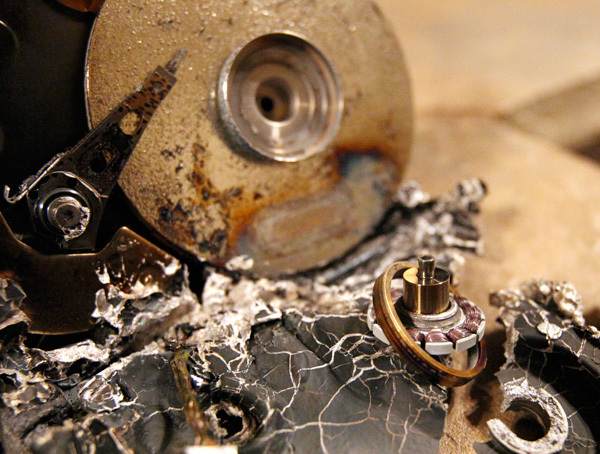 The Disaster Recovery Service provides up to $1,000 dollars of third-party forensic drive recovery service should the ioSafe Solo be damaged and the company is unable to directly recover the information. 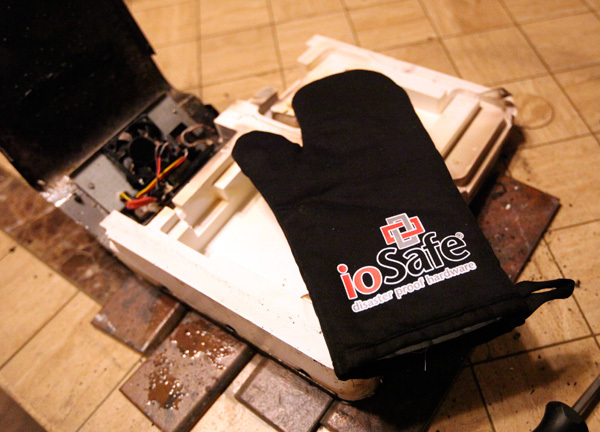 “For years ioSafe has provided the industry’s leading disaster proof hardware. 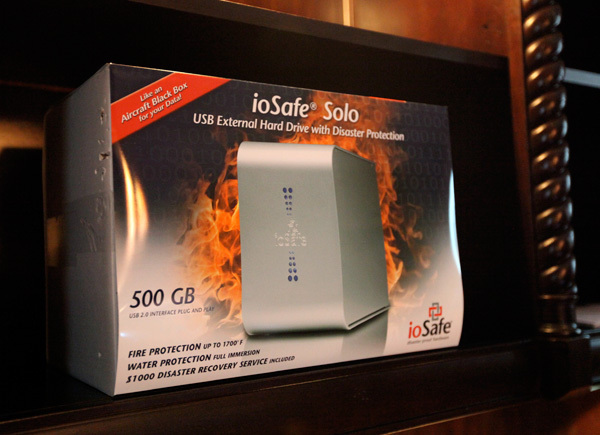 The ioSafe Solo at 1.5TB, offers tremendous disaster protection and represents fantastic value as a plug-and-play USB external hard drive,” said Robb Moore, CEO of ioSafe. “Using our patented technology and manufacturing processes, we have created the first affordable disaster proof external hard drive solution for the massive amounts of irreplaceable data created in homes and businesses everywhere”. 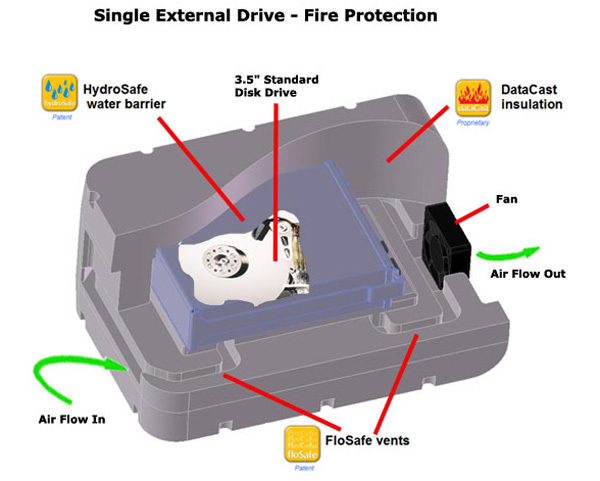 The ioSafe Solo external disk drive is engineered to protect data from fire (up to 1,550 degrees Farenheit for one-half hour per ASTM E119) and flood (full immersion in fresh or salt water at depths up to 10 feet for 3 days). These capabilities are made possible ioSafe’s technology which can be used for both internally developed products and available to third-party manufactures for licensing. The technology protects disk drive data against damage from fire, floods and other disasters - while at the same time uniquely resolving heat dissipation issues found in all computer systems. •	ioSafe’s patented FloSafe cooling vent technology provides air-flow cooling to dissipate heat during normal operation. 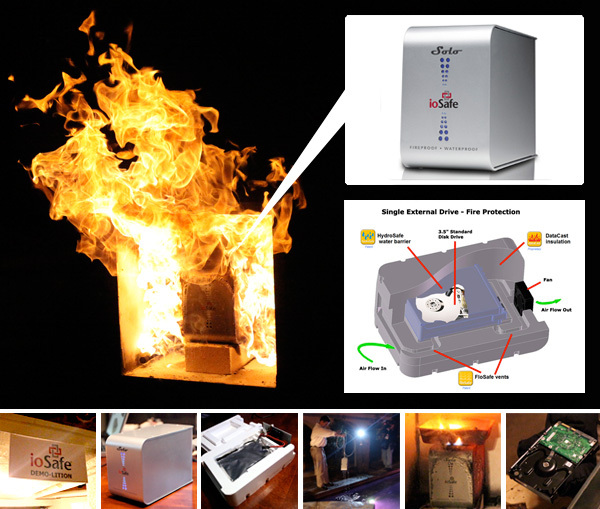 FloSafe technology also has the ability to detect destructive heat levels and automatically close the vents to protect data from extreme heat. •	Data on ioSafe protected products also is protected from extreme heat by ioSafe’s proprietary DataCast endothermic insulation technology. •	The patented HydroSafe technology is designed to protect data loss from fresh or salt-water damage, including full immersion. Simultaneously, HydroSafe technology allows the heat dissipation required by all computer hardware during normal operation. The Solo is available today and can be purchased online at www.iosafe.com and soon purchased through retail channels. The ioSafe Solo capacities and pricing are as follows: 500GB for $149, 1TB for $199 and 1.5TB for $299. All units come with a power cord, USB cable and users guide. Like an aircraft black box for data, ioSafe provides innovative disaster-proof hardware technology and disaster recovery services as a cost-effective way for corporations and consumers alike to protect their irreplaceable data. Recognized in 2008 by Byte and Switch editors as one of the Top 10 Storage Startups to Watch, ioSafe delivers disaster-proof hardware plus services that add physical security, natural disaster protection and regulatory compliance features to standard hard drive-based systems. 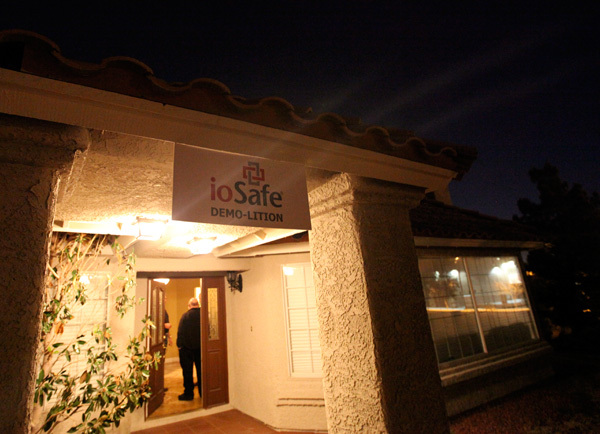 ioSafe is a privately held company with headquarters in Auburn, Calif. For more information, please visit ioSafe. The ioSafe Solo looks great! When you compare hard drive brands, this would be well worth the money. 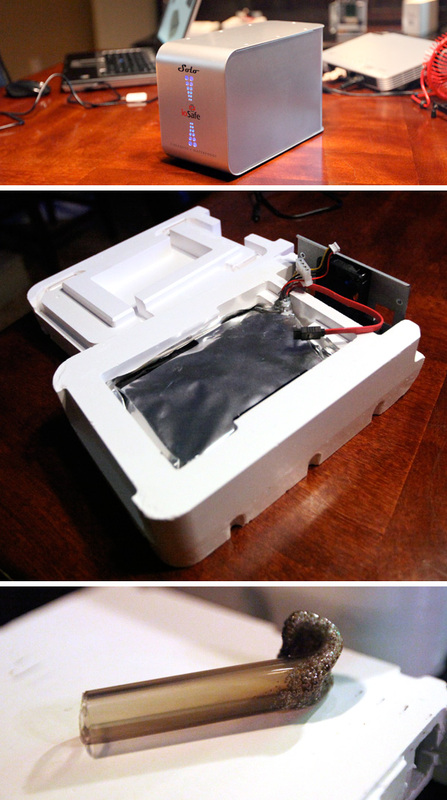 It’s not much more expensive than a standard external hard drive…add fireproof and waterproof and I am sold. 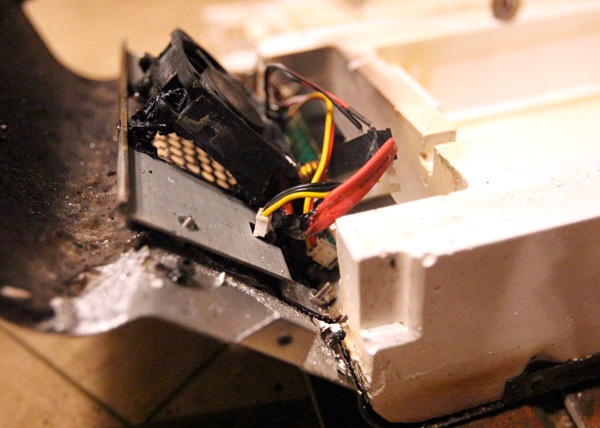 Obviously there is a chance of drive failure, but it does come with a “no questions asked” data recovery service. After doing some research, this is the only hard drive manufacturer that offer this. You’ve gotta believe in the product to do something like that. All that aside, I like the ioSafe 3.5” internal drives best, because I can put them in a RAID 1. A RAID version of this would be great. 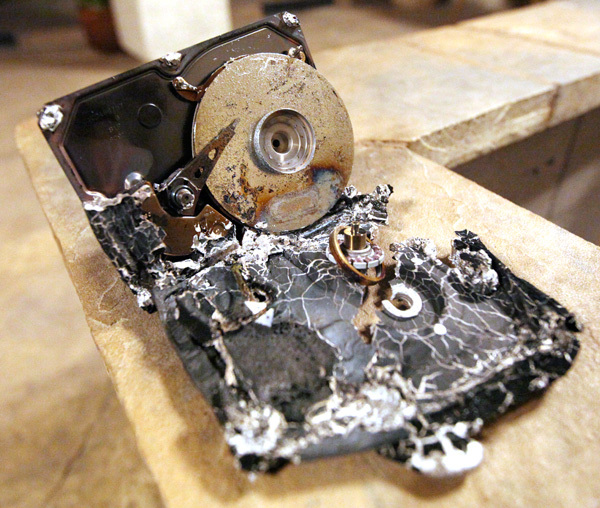 The comment about an internal drive failure is right on the money, but this looks like a great product! I don’t think a flash drive is the solution, at least not with the storage size limitations. I bet this was a fun presentation to watch in person! Hahaha, will it blend, that’s a good one. I think that’s a great product, though, and I’ll probably get one soon! Okay, that’s creepy. 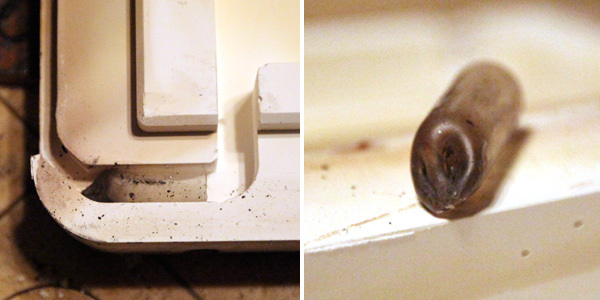 I’ve been wondering this week if I could find a reliable, regular safe that’s rated to protect hard drives so I can backup locally & still know they’d survive a house fire. Sounds like I’m a shill, I know. These are pretty cool though, great pics & coverage! Wow, that thing is insane. I really want one now. Thanks for posting these pics.